The award-winning musician Charlie Daniels and His Band Live at The Mansion Theatre is one of Branson shows that will captivate audiences as they perform on stage for one show only on November 4, 2016. The show is appropriate for all ages and will last approximately 90 minutes. The Encyclopedia of Southern Culture has quoted “Few individuals have symbolized the South in popular cultures as directly and indelibly as Charlie Daniels.” The story of Charlie Daniels started in 1955 when, having already become a skilled guitarist, fiddler, and mandolin player, he formed a rock ‘n roll band and continued his way. The rest is history. The singer who popularized “The Devil Went Down to Georgia” has won numerous awards during his musical career which included awards from the CCMA, CMA, Academy of Country Music, Nashville Music Awards, TNN Music City News Awards, BMI Awards, GMA Dove Awards, and many others. Charlie has also played with multiple famous musicians. He also recorded the electric bass on three Bob Dylan’s albums and co-wrote Elvis Presley’s “It Hurts Me.” Now mark your calendars, and see Charlie Daniel along with his band at the Mansion Theatre in Branson, Missouri. 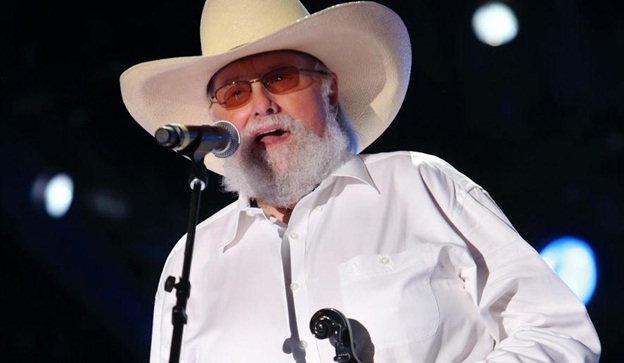 During the 50+ year career of Charlie Daniels, he has scored hits on country, pop, rock and Christian charts. His support of American troops, volunteer spirit and down-to-earth character have solidified his reputation as a true Christian and American patriot. As one of the best Branson shows to be performed in the Ozarks this coming November 4, Charlie Daniels and His Band will deliver custom-made music for audiences of all ages in Branson. Listen to everyone’s favorite, The Devil Went Down to Georgia that hit the top of the country chart and placed in the top five on Billboard’s pop chart. This favorite song has also scored the band a Grammy Award for Best Performance by a Group or Duo and got a Single of the Year Award from the Country Music Association. The group has also produced several hit records that included Boogie Woogie Fiddle Country Blues, Simple Man, South’s Gonna Do It, Drinkin’ My Baby Goodbye, and The Legend of Wooly Swamp. In addition to Charlie Daniels Band’s two Grammy’s, they have also captured the attention of just about every music industry award organization. If you want to hear songs that have scored hits on country, pop, rock and Christian charts, watch a one-time Branson show of Charlie Daniels and His Band Live at The Mansion Theatre.